This morning, my family and I grabbed a plate, a donut, a bottle of orange juice, and then turned on General Conference. It’s something we look forward to every 6 months. 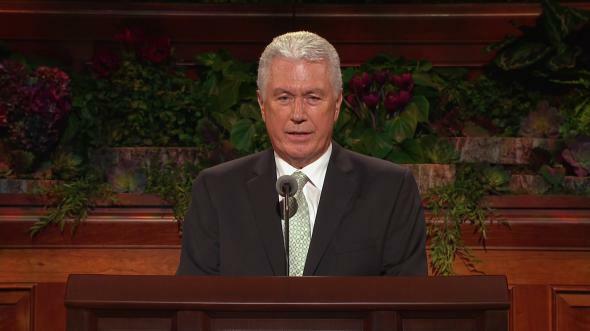 As the conference began, President Uchtdorf stepped to the pulpit to address us first. As always, he never disappoints. We love him! But almost immediately, I noticed something subtle about his eyes. He was speaking with his mouth, but to me, it was his eyes that were telling a story. Those eyes might have cried out to rest a little while. But he can’t rest. There is always more. More people to minister to. More conferences to speak at. More decisions to make. More dissenting votes. More criticism to endure. More evil to fight. I saw this same look in my Stake President’s tearful eyes just two weeks ago in a Stake PEC. Those eyes told a story of the almost all-consuming responsibility it is to keep the work moving forward. 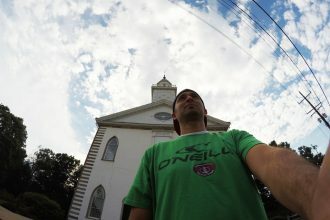 The very first time I read the Book of Mormon, I was 21 years old. I read all the way up to 3 Nephi chapter 17 and hadn’t yet had a powerful spiritual confirmation that the book was true. When I got to chapter 17, I came across a part wherein the Savior had come to minister to those people on the American continent. When he was done… and he was just about to leave, the Savior “cast his eyes” on the people he was just ministering to. When he looked them in the eyes, “they were in tears.” They wanted him to “tarry a little longer” with them. It was in that moment, that I received a powerful witness that the Book was true. I don’t know what it was, but I could almost imagine myself standing there looking into the eyes of the Savior, longing for him to stay with me, yearning to be a better person. There are powerful stories within the eyes of a disciple of Christ. So here I am, as I sit here on my couch eating my doughnut watching conference. This man’s eyes, a little more tired than usual, seem to be asking me a simple question: “Will you help us?! Will you help your brothers and sisters? Will you share the burden? Will you lift my hands when they hang down and strengthen my sometimes feeble 76-year-old knees? Will you sustain us? Sustain the prophet? Have faith? Will you devote your life to the Savior when men’s hearts are failing them? Will you be one of the strong, one of the ‘humble few’ and the man you were foreordained to be? This is what I felt from President Uchtdorf’s eyes. I’m sure we would need a few more conferences if those eyes had the opportunity to tell the whole story… but for me, right here, right now… I want to redouble my efforts.